Planning the perfect party just got easier thanks to Lockwood Skating Palace Inc. For more than 35 years, we've hosted countless birthday parties and special events for families, schools, and churches throughout the area. You can even rent the entire rink for up to three hours at a time for larger, private events. All R& B and Old School Music. Admission is $8.00. Experience family roller skating fun at Lockwood Skating Palace Inc. Featuring an 20,000-square foot wood floor, we are the best skating rink in Houston, Texas. Family is important to us. We play music that's appropriate for all ages and even have a special skate floor specifically for kids. Admission is just $8.00, which includes skate rentals! Nothing beats a classic skating party. At Lockwood Skating Palace Inc., we continue the tradition of creating great childhood memories by hosting birthday parties, church events, and other special celebrations at our rink. 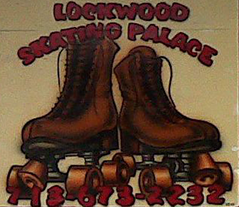 Lockwood Skating Palace Inc. is entirely family-owned-and-operated by Andrew and Katherine Flake and their three sons. Our rink is one of the best and last R&B skating rinks in the state, serving the local community since 1982. 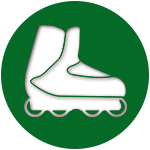 We are proud members of the Roller Skating Association™ (RSA).